I feel so much better now - like a new man already. I was diagnosed with type 2 diabetes, so I knew I had to take action to reduce my weight. I just came across it while searching online. How would you describe your relationship with your weight over the years? I've struggled to manage my weight most of my life and have been on and off diets for a long time. But with Nutracheck, it's been pretty much plain sailing. It's been surprisingly very easy, and in the time I've been using it so far I haven't had any relapses which is great. It's probably been giving up certain aspects of my social life - particularly enjoying a drink with friends. 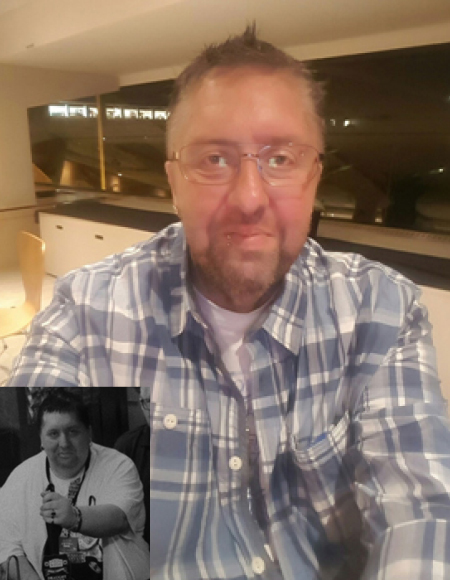 I have managed to successfully reverse my type 2 diabetes through losing the weight I have so far. How do you feel about reaching your final goal? I think it will be a major achievement for me to accomplish a healthy weight - so I'm looking forward to it. Always check sugar levels, even in low fat food. Stick to spirits with a diet mixer for that occasional drink. Eat your evening meal a bit later than you're used to as it can really help with evening cravings to snack.